Linda “Lin” Willard, thought she might have GERD. She sometimes felt pain in the upper center part of her chest that reminded her of indigestion, but nothing so bad that she rushed to a doctor. So she was surprised when a routine visit to her primary care doctor ended with a recommendation to see a cardiologist. 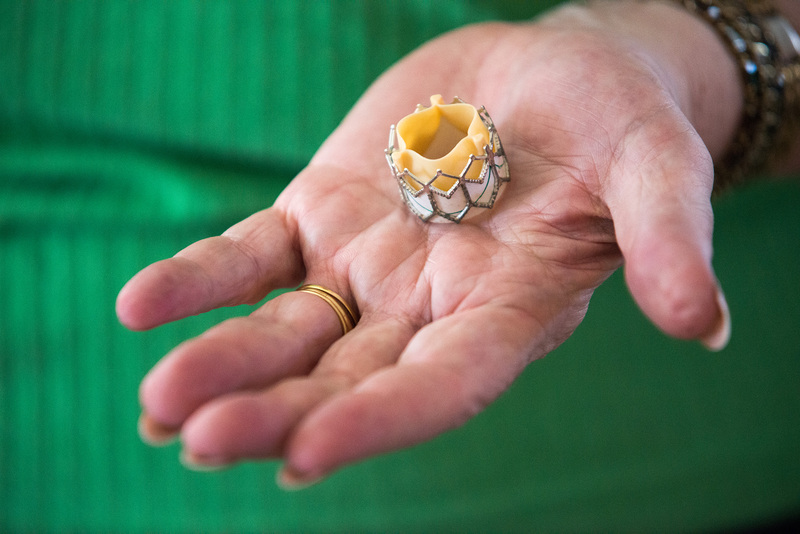 Soon she learned she had aortic stenosis, a malfunctioning aortic valve. The function in her valve was only 20 percent. Dr. Maruthi Gottimukkala from Sentara Cardiology Specialists delivered more news a few weeks later: An angiogram found two blockages in her arteries. With aortic stenosis and her other concerns, Lin was a good candidate for transcatheter aortic valve replacement (TAVR), a minimally invasive procedure that can sometimes be an alternative to open heart surgery. 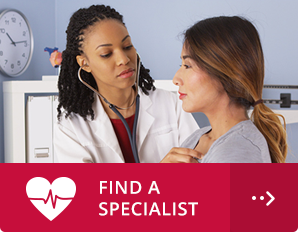 Sentara Heart Hospital is proud to be one of a select group of distinguished heart centers across the country that helped pioneer the method. Since the first procedure in 2011, it has seen fast growth. TAVR makes it possible to replace the damaged valve without it being removed. A collapsible replacement valve is delivered to the site through a catheter. In Lin’s case, the catheter was inserted through her groin. When the new valve was expanded, it pushed the old valve leaflets out of the way, and it regulates the blood flow. “I immediately had a 100 percent open valve again,” Lin says. Her procedure at Sentara Heart Hospital started at 8 a.m. on a Tuesday with what she describes as light anesthesia. By 10:30 a.m., she was in the recovery room. That night, she ate her dinner sitting in a chair instead of her hospital bed. By Thursday, Lin was home. Thinking back, Lin realizes that the old valve must have been bothering her for a long time. A woman of style, Lin can wear a one-of-kind fashion accessory there — and to any event: She asked for a pair of the valve replacements and created earrings out of them, looping the silver and flesh-colored valves around a pair of gold earrings. She proudly shows off the small pieces that have made a big difference in her life.